Bored with your same old home office? Here are tips to update your space. 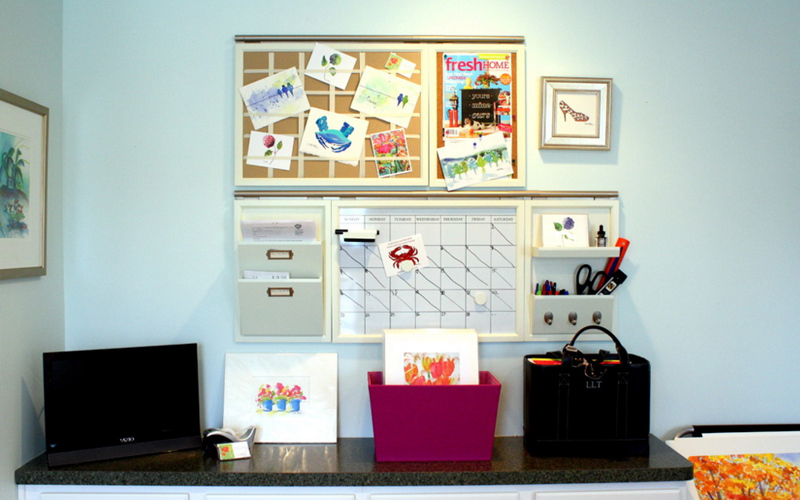 When you have a home office, it is important that you will organize it from time to time. This way, your space will surely look good and would be a perfect place for working. Of course, you don’t want it to look messy because it won’t create a good working environment. Hence, make sure that you clean your office everyday and organize it like once a week or in whatever time you want. You can even update its look too by changing some items or adding some knick knacks. But make sure that you are not putting too much. Remember, it is a working space. You have to see to it that everything is well arranged and organized. Even for a home office, we also have our own “dream work space.” You can achieve that even if you already have an existing working area. And we will give you tips on how to do that. But before that, there are some essentials that you need to get. 1. Desk. You don’t need to buy an expensive desk. Yes, there are many working desk that you can purchase for your home but you can also make one that looks unique and beautiful by using old furniture or buying one from second-hand shops. You can revamp it and make it look nice that fits your needs and your area’s appearance. Some would use doors in order to make desks while others re-create old furniture. 2. Chair. Since you are looking for a chair for work, make sure that you get one that is ergonomically designed because this will offer proper support to your lower back while working. This will also help you feel comfortable no matter how long you will work because your feet will rest flat on the floor and your thighs are parallel to the ground. Of course, you can also choose a chair with a beautiful design that can add appeal to your home office. 3. Stationery. Aside from your computer, you would also need some stationery like pens, pencils, highlighters, paper, notepads and others. These will help you organize and keep track of your work. Of course, you can use the computer for those but it would also be better if you see a list of the things you need to do and some reminders posted in front of you. 4. Storage. Your design may or may not come with storage spaces. 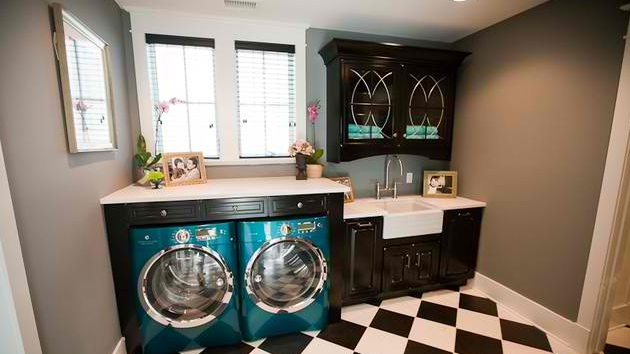 You would need this in order to organize the area and keep it from clutter. Even your stationery needs to be stored well too. You can make your own storage boxes and containers too from recycled materials in order to save money. Once you have all that, then you could begin creating your home office. For sure, once you are done putting them all together, you will be excited to decorate it and you will feel even more motivated to work. 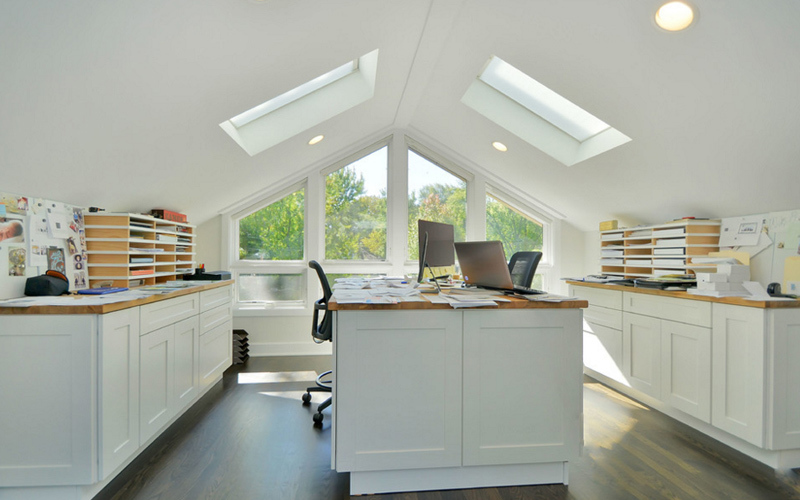 We have previously shared some tips that you can use for designing a home office. 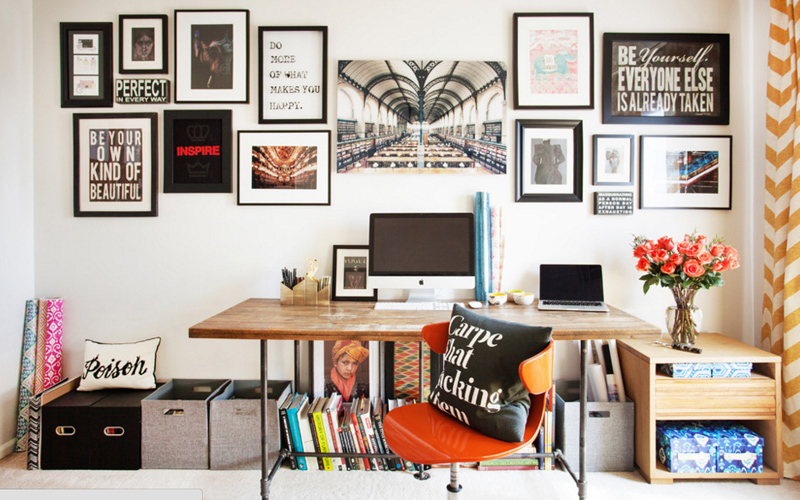 But here are a few things that you need to take note of in terms of designing a home office. 1. Designate a “work space.” Doing that isn’t just about choosing which part of the house you will use for working- it could be a corner, a whole room or just a table. Whatever it is, make sure that it will have that “work space” feel. This way, your brain will tell you that the space is intended for work and will set your mind for that even if you are just in your own home. 2. Set a focal point. Most probably, your computer is the focal point of your home office. So, place it in the front and center of your desk. This will serve as a reminder that you are there in order to work and it will also make your work easier this way. 3. Observe proper scale and proportion. You also have to see to it that everything in the room has the right size and proportion which means that the objects inside your space isn’t too big or too small for your home office. The furniture and decors you have and the way you organize has a huge impact to this. 4. Keep everything in harmony. To create the right vibe in your working area, you have to see to it that everything is in harmony and has a coherent design. Put all the right components in the right places and always add your personal touch into it. 5. Choose your color scheme. There are many colors that you can choose from. You can even use bright colors if you want that will make you feel motivated to work. But even colors need to be balanced. So, when you use bright colors, use muted tones to offset them. Freshen Up Your Working Space! There are some principles that most designers use as a guide to make sure the results are amazing all the time. These principles are already tried and tested in various spaces and were proven to work out well. And these don’t need to be mastered because anyone can actually apply it in designing, decorating and improving their own spaces. When you combine these principles with your creativity and intuition, you will get a room that is beautiful, comfortable and cozy. 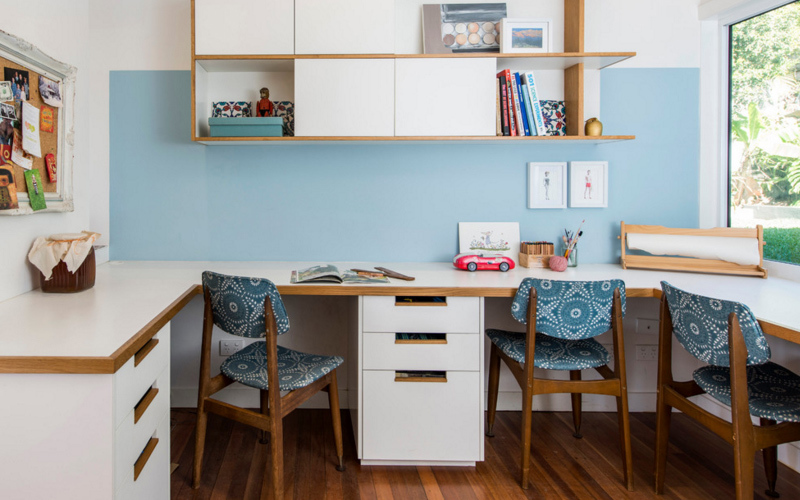 Aside from that, there are also ways to update your home office so that you will not get tired or bored with it and you will still feel motivated and will remain productive. 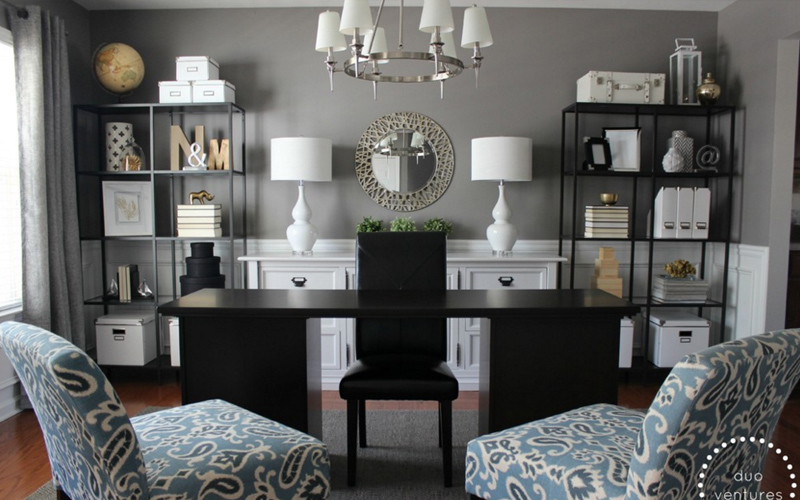 Here are some tips to update the look and feel of your home office. You have to clear your desk from clutter every week or every other week. Some would even do it once a month or once in a few months if they have a lot of things to do. Place all your things on the floor and then separate them into three piles for items that you will “keep,” “toss,” and “donate.” When you do this, you are not just getting rid of clutter but you will also find things that you had been looking for a long time. Have a filing system that will help you to arrange and keep all your documents in proper order. A well-categorized and segregated document will help maintain order on your desk. Even magazines that you use for inspiration should be arranged by date and placed in magazine butlers so you will be able to get them easily. 3. Have a pin board. It will also be easier to organize your ideas with a pin board. Print some pictures or cut out some from magazines which you will need for your work. Then put them all on the pin board so that every time you need ideas for work, you won’t have to look for them in the magazine again. It is also an ideal way to store and display any loose papers. There are many different artworks that you can add to your home office. You can even make one too. If you are not an artistic and creative person, you can print some beautiful materials that you can find online or even from magazines. Or you can also buy wall decors too. You can save a lot if you buy from thrift stores. Another good way to enhance the look of your space is through area rugs. Area rugs come in different prints, sizes and designs. Choose one that fits your space and that will add beauty to it. For sure, there will be a huge difference once you have added your rug already. When adding lights, do not just pick any light. Choose those that have beautiful and unique designs and will also fit to the motif and style of your home office. Also, do not limit to one type of lighting only. Add a chandelier or floor lamp aside from your table lamp. 7. Add plants and flowers. Since your goal is to freshen up your home office, then the best way to do that is to add flowers and plants. You can bring in some plants anywhere in your space. But make sure that it won’t be too large if your space is small. Some would add a pot of succulents and/or a vase of fresh flowers. 8. Buy cute desk organizers. Desk organizers are a good way to keep your stuff together but it can also be a nice decor to your space too. There are many beautiful and creative looking desk organizers. Choose those that will bring a personal touch to your home office but see to it that the flair isn’t so distracting. If you are bored of your furniture, why not revamp its look by changing its upholstery or painting them again. When you decide to update the upholstery of your chairs, choose colors or patterns that will bring more color and excitement to your area. You can also reuse old furniture and turn them into something else. If you have many knick-knacks or other small items that you collected as well as jars, sculptures, and others, then it would be nice if you add it to the home office as a display. This way, you aren’t just showcasing your collection but you are also adding decor to your home office. It would be exciting to have some patterns in the home office. You can do that with your walls using wallpapers. It is an easy way to freshen up the look of your space. 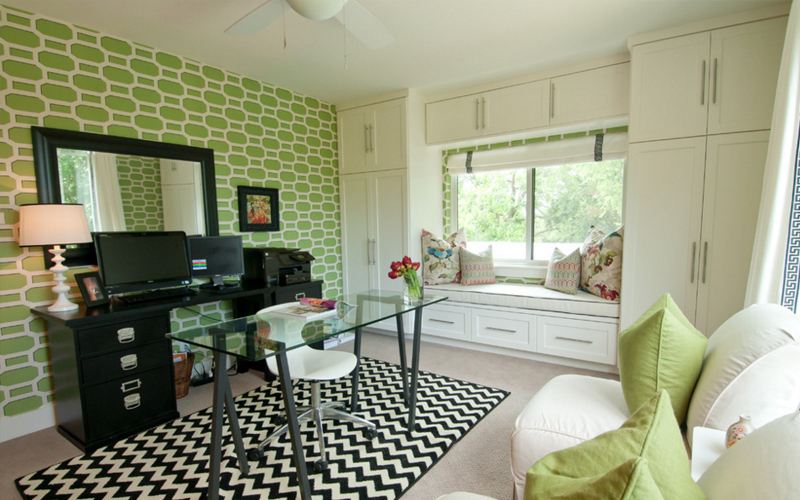 You can match the color of the wallpaper to your area rug or to the color scheme of your space. Use wallpaper to one side of the wall or even just for your board that will also work well too. Well, it isn’t really hard to freshen up and update your home office. But of course, it would mean that you need to allocate some time in doing that. Actually, merely removing unused items and clutter is already a good way to update your space. You will observe that simply arranging them properly will already change the look of your home office. How much more if you add decors on it! Love the tips we have above? Feel free to share them with your friends too!